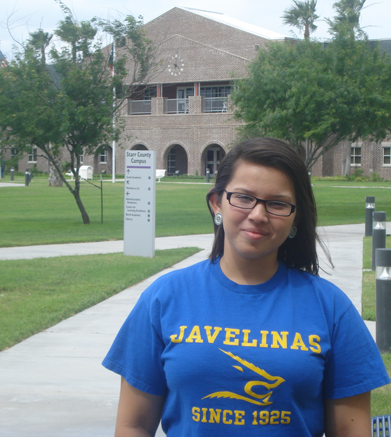 pre-medical student at Texas A&M Kingsville. If you are an entering junior in high school and interested in computers, then South Texas College has a great new, free program for you. Launching in fall 2010, STC’s Dual Enrollment Computer Science Academy (DECSA) is now open for enrollment. Interested participants must be enrolled in high schools in Roma ISD or Rio Grande City CISD. Upon acceptance to the program, participants will have the opportunity to participate in community service activities, attend special seminars, activities and field trips related to the computer science field, and receive mentorship from technology professionals. DECSA students will receive specialized tutoring and advising, academic workshops and scholarship search support. Lastly, students can expect to participate in college site visits and summer internship opportunities. Upon completion of the two-year round program, each participant will earn an Associate of Science in Computer Science weeks before graduating from high school. The degree is transferable toward earning a bachelor’s degree at colleges across the state and is a step in preparing students for careers in computer software engineering, computer systems analysts, information systems and computer programming. The best part? It’s free for qualifying students. DEMSA graduates have earned more than $764,330 in scholarships to universities across the state including Texas A&M, Baylor University, Texas State University and Texas A&M International University and The University of Texas-Pan American. For more information about STC’s new Dual Enrollment Computer Science Academy available through its Starr County Campus contact Lucia Salinas at 956-872-1274 or at lysalina@southtexascollege.edu.